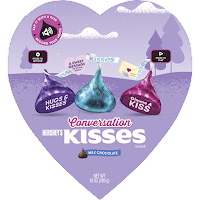 Nothing says Valentine's day like chocolate, and nobody knows chocolate like Hershey's. Hershey's is a brand that most of us grew up with as children and the love of the creamy goodness followed us into adulthood. There is just nothing as yummy as the smooth, sweet, creaminess of a Hershey's bar. 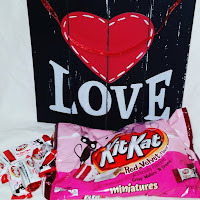 Just in time for Valentine's day, I'd like to introduce you to a few new items. I love to see all the new seasonal products! 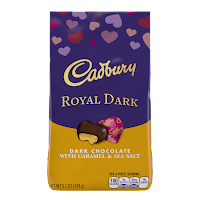 As soon as I hear about them, I feel I must try them. 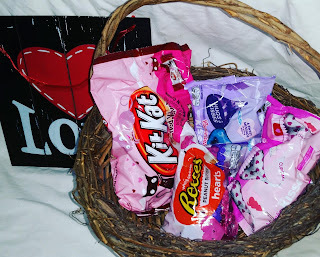 My family was over the moon to work with Hershey's this year to help promote their Valentine's day line. We were sent 4 items, some new items and of course items we all know and love. 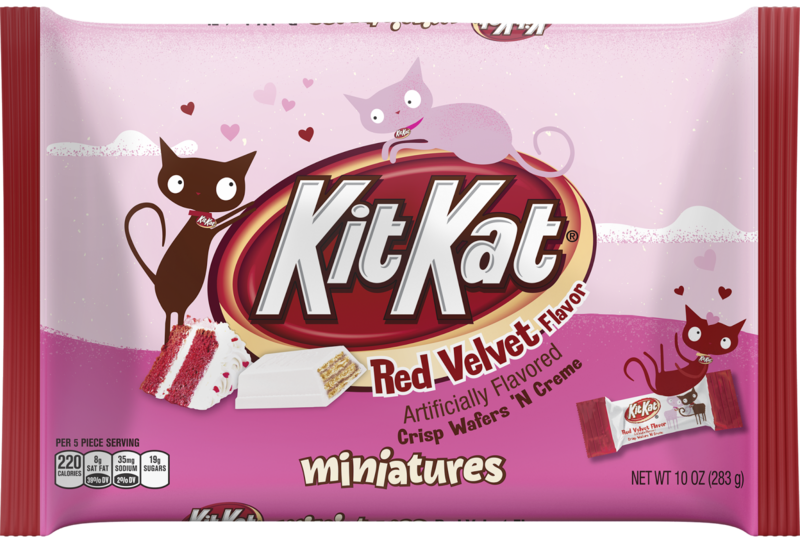 Without a doubt, the standout for me was the Kit Kat® Miniatures Red Velvet Flavor. All I can say is WOW! Being a southern girl I know good red velvet and this hits the mark! It's just perfect in flavor. This is a new product that I highly recommend you trying. 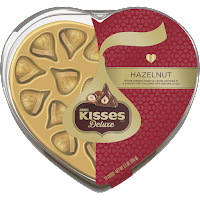 I have never been a fan of white chocolate but I really enjoyed this. You can really taste the flavor of red velvet. 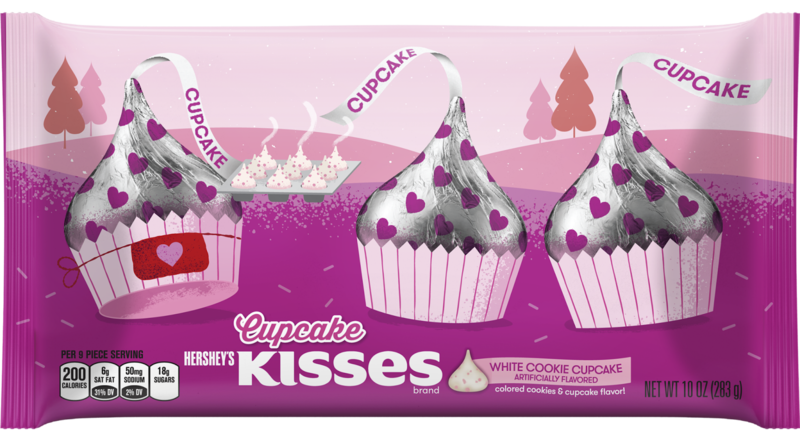 The Hershey’s Kisses White Cookie Cupcake are a Target exclusive so they may be harder to find in some areas. Like my area--No Target at all. I love the fact that we got these. These are also a white chocolate item with a twist..they have a crispy center! That was a nice unexpected twist! 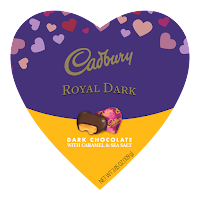 It's is a good mix with the smoothness of the flavor. 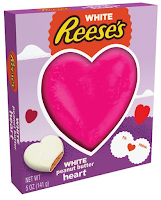 Reese’s White Crème Covered Peanut Butter Hearts, the Reese flavor I adore enrobed in a casing of white chocolate. 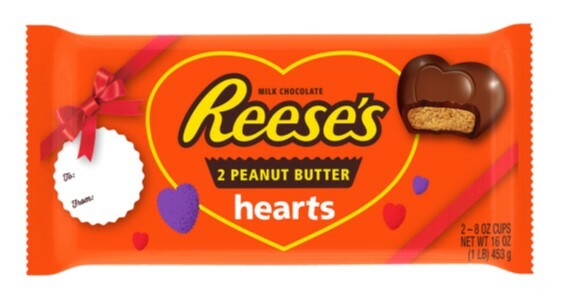 The pairing of Reese's peanut butter and the delicate flavor of the white chocolate are a dream. 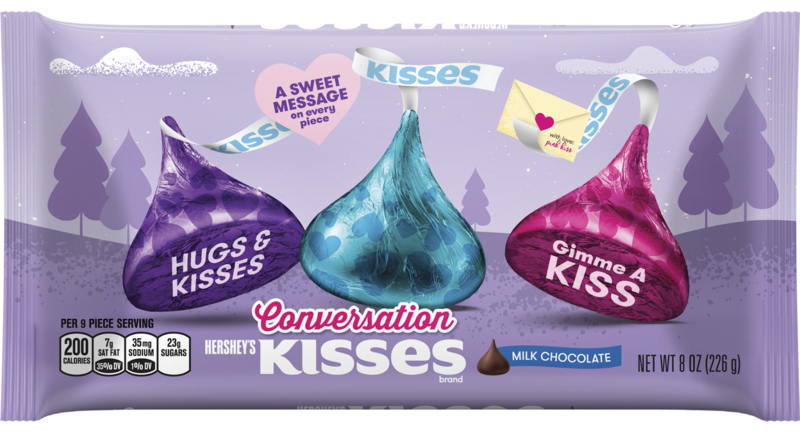 Hershey’s Kisses Brand Milk Chocolate Conversation Candies, the Hershey's Kisses we all know and love all dressed up as Conversation candies. 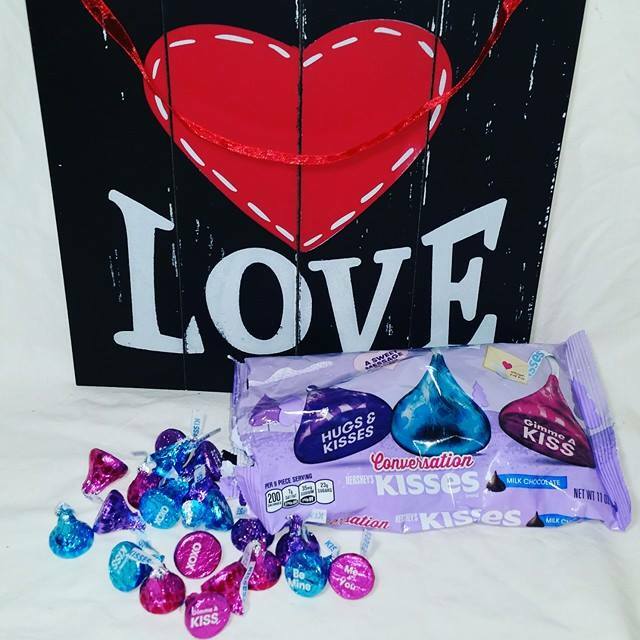 They are bite-size drops of happiness! 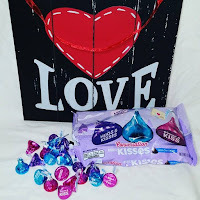 For more information about the seasonal products Hershey's is offering keep reading below, Remember these items are seasonal so get them while you can. on Valentine’s Day. 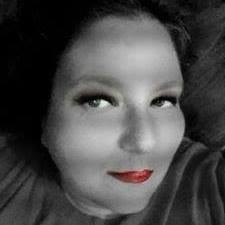 All products are available at retailers nationwide unless otherwise noted. *Exclusively Sold at Target* Hershey’s Kisses White Cookie Cupcake – Add excitement and flavor to your Valentine’s Day celebration with the taste of cupcakes! Hershey’s Kisses White Cookie Cupcake Candies pack the taste of cupcakes into just one bite, complete with a satisfying cookie crunch. 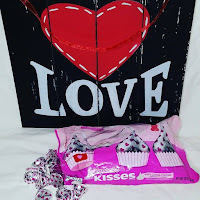 These candies are perfect for party favors, prizes, and décor for any Valentine’s Day theme. 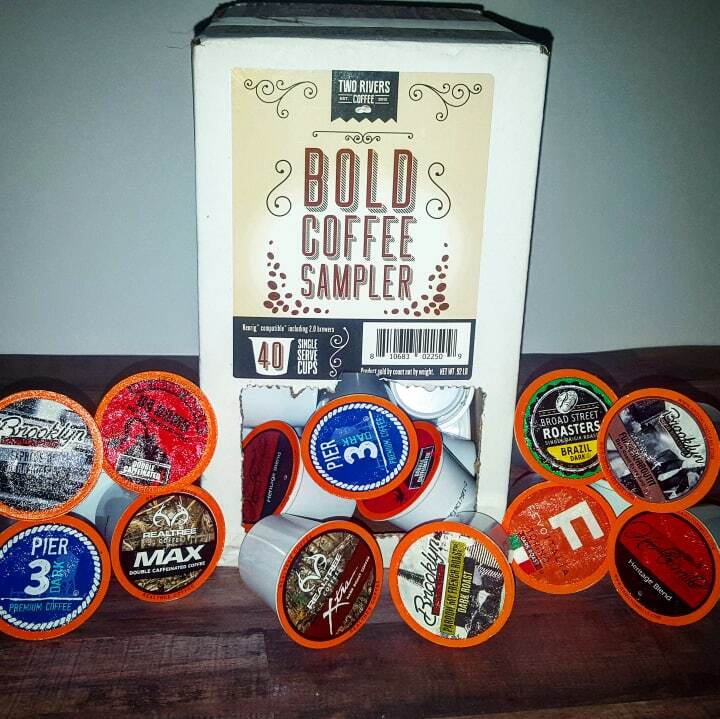 Available in 11-oz. bags (SRP $4.39). brand-new flavor. 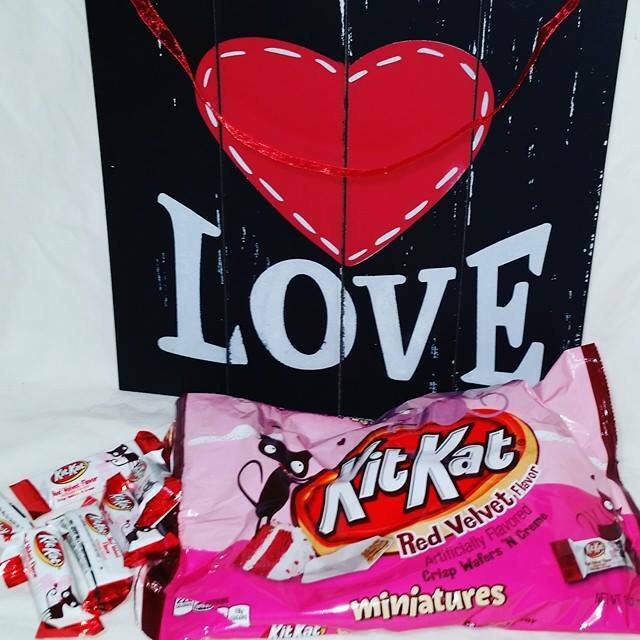 These Kit Kat® Miniatures are made with the rich taste of red velvet, each individually wrapped with seasonal flair to share with family and friends. Available in 10-oz. bags (SRP $4.39). 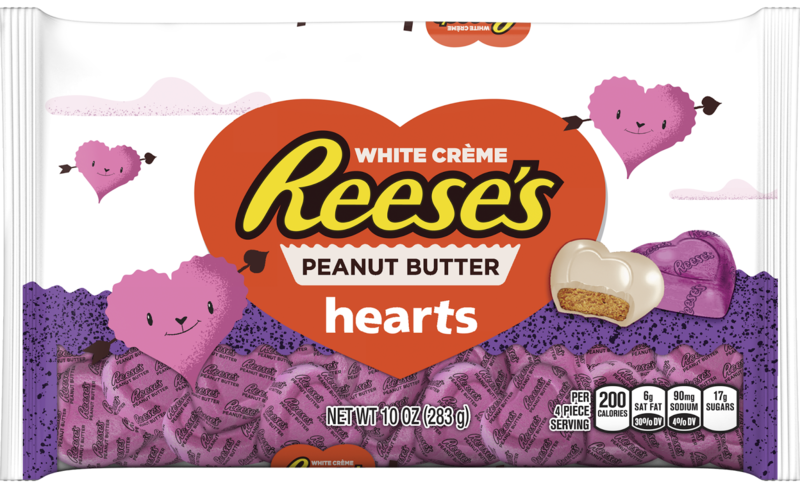 Reese’s White Crème Covered Peanut Butter Hearts – Taste the perfect combination of white chocolate and Reese’s peanut butter in a fun heart shape. These treats are individually wrapped, making them perfect for candy dishes or gifting. Available in a 10-oz. bag (SRP $4.39). 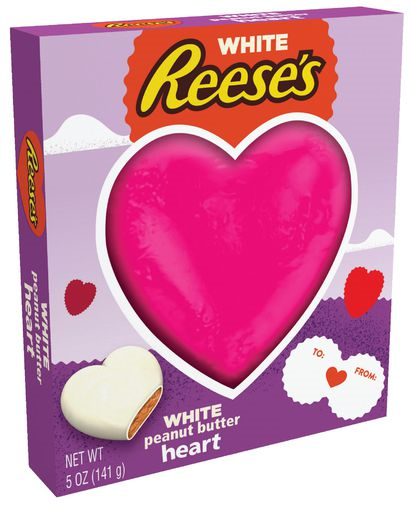 with creamy peanut butter and delicious white crème Reese’s White Crème Peanut Butter Heart is a favorite gift of love. Available in a 5-oz. box (SRP $5.49). Reese’s 1lb. 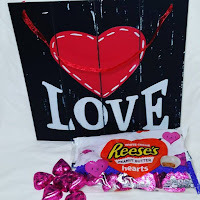 Peanut Butter Hearts – This Valentine’s Day, treat yourself and your loved ones to the perfect combination of milk chocolate and Reese’s peanut butter in a fun heart shape. Item contains 2 8oz. hearts (SRP $10.99). in 5.1-oz. bag (SRP $3.99). 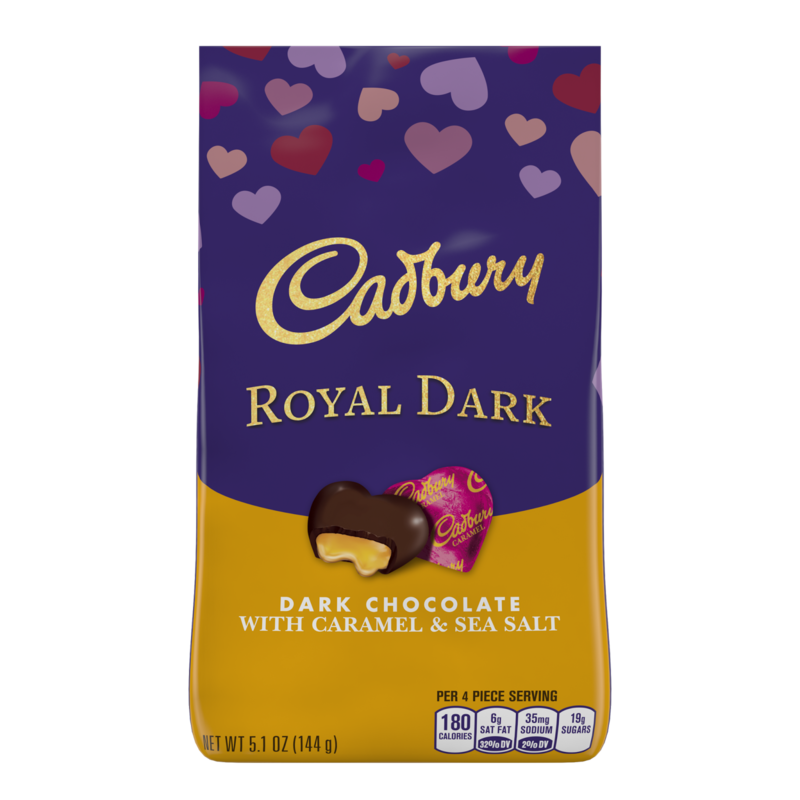 Cadbury Royal Dark Chocolate with Caramel & Sea Salt – A delectable combination of caramel, sea salt and dark chocolate fit for the perfect Valentine’s Day. Available in 5.1-oz. bag (SRP $3.99).